Upper Catabwa Falls is a very difficult place to reach. You pass several scenic cascades until you reach the main waterfall. This one is further up a trail where at certain points is hand over hand climbing which could be dangerous. Once you reach this location you are sure to be one of very few people who venture up to see this impressive 50 foot waterfall. 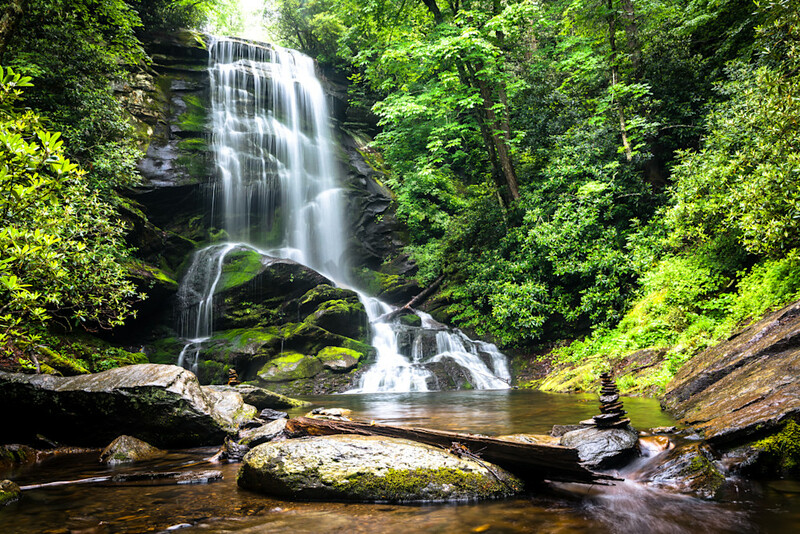 Catawba Falls is relatively close to downtown Asheville (just 25 miles away) and offers stunning beauty thanks to a series of cascades that, together, are 100 feet tall. The U.S. Forest Service recently has made the easy-to-moderate trail even more enjoyable by adding two new footbridges so that you no longer have to rock hop across the river to enjoy the falls. The hike is just three miles round trip.